For information about receiving the sacrament of Confirmation, please call the Valeta Orlando at (386) 441-1505, extension 307. In order to enroll in the Sacramental Prep program you must be a registered member and attend St. Brendan Church on a regular basis. The Sacraments of Confirmation is offered to children in grade 8 and higher. Your child must be enrolled in the Faith Formation program or a Catholic School (not private Christian) before preparing for these sacraments. 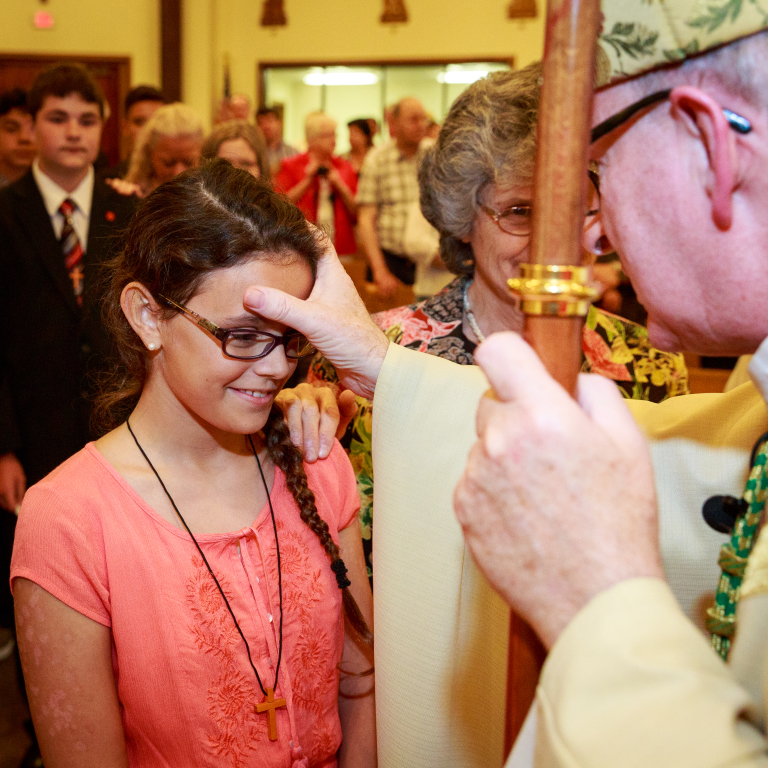 Confirmation is a sacrament of initiation; it is important that your child is an active member of the parish community into which he or she is being initiated. We ask that you and your child have regular attendance at both Mass and Faith Formation/Catholic school classes. Sacramental celebrations and Sacramental Preparation take place within the parish community. It is not a “school” celebration. Students enrolled in St. Brendan Catholic school registered in other parishes must receive the sacrament in their home parish. All Confirmation preparation classes will be held in the banquet room. All parents are invited and highly encouraged to attend each class taking this walk in faith with your student as they prepare for Confirmation.